Target has apologized for labeling a plus-sized dress “Manatee Gray”, after a rotund marine mammal. 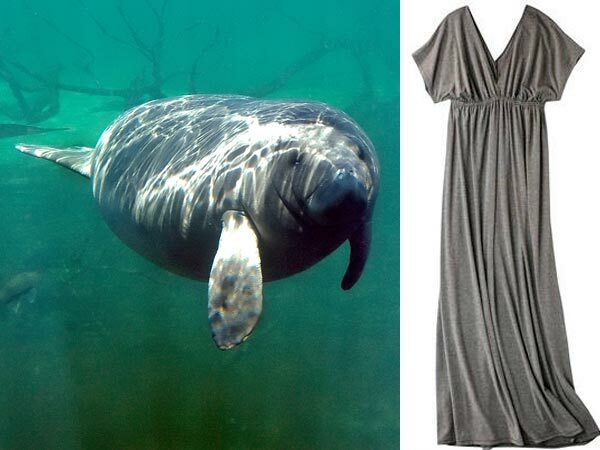 Uproar followed when shopper Susan Clemens tweeted a screengrab of the “Manatee Gray” dress from Target’s website. A smaller size of the same dress was labelled “Heather Gray”. Target has now changed the listing to simply “gray”. “It is never our intention to offend our guests and we apologize for this unintentional oversight,” a Target spokeswoman says. A large, aquatic relative of the elephant, manatees are sometimes called sea cows.